The leading independent specialist for windscreen replacement and windscreen repair based in Hull and serving all of the Hull area. National Windscreens Hull fitting centre provides windscreen replacement and windscreen repair services to businesses and individuals throughout Hull and the Hull area. The city of Hull lies in East Yorkshire and boasts colourful seaside resorts, a jaw-dropping coastline and miles of tranquil countryside. 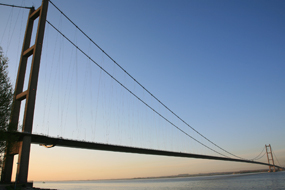 Hull is situated 25 miles inland from the North Sea. Prior to the 2008 recession, Hull saw large amounts of investment in new retail facilities, housing and public service construction. Popular tourist attractions include the Old Town and Museum Quarter, as well as the Marina. The M62 links Hull with the west of the country, while the A15 and A63 serve the city itself. The Hull windscreen fitting centre and its mobile vehicle glass technicians service the needs of Hull and the surrounding area including Market Weighton, Beverley, Hornsea and Brough. With 108 fitting centres and over 800 mobile technicians, National Windscreens operates the UK's largest windscreen repair and windscreen replacement network. The company provides low cost, high quality windscreen replacement and windscreen repair from its Hull fitting centre 24 hours a day, 7 days a week, 365 days a year. Repair and replacement of all types of vehicle glass including windscreens, rear windows and side windows is undertaken throughout Hull and all of the Hull area.